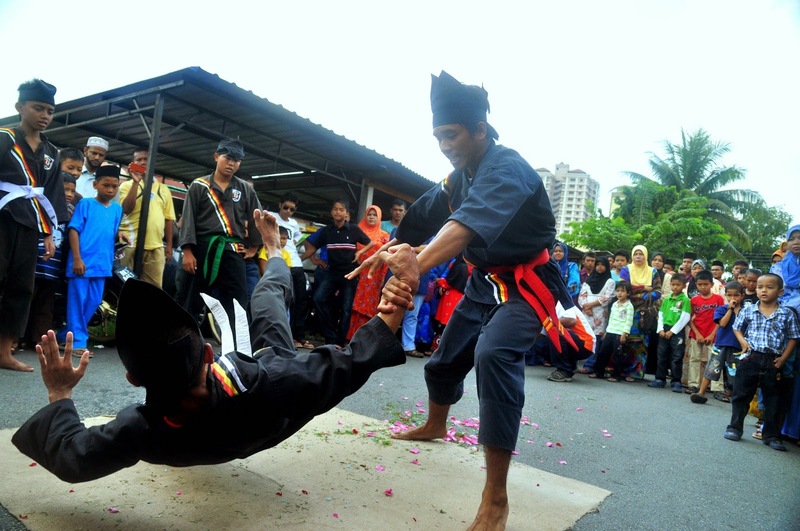 Do you know silat? 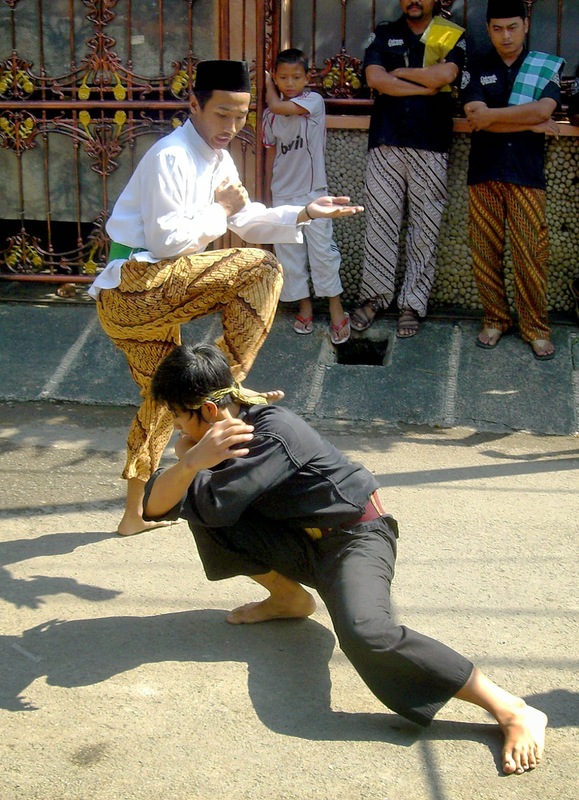 Silat is an traditional martial art. 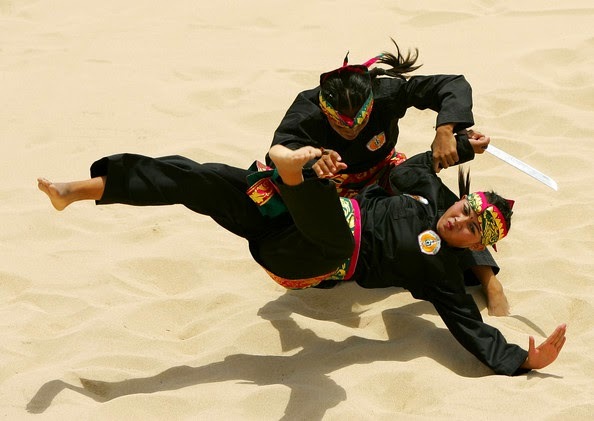 This martial arts are found in Brunei, the Philippines, Indonesia, Malaysia, Singapore, and other countries bordering the Malay ethnic state. As one of the sport in general and especially martial arts, martial arts martial is a series of body movements according to certain systems and methods. There are still many people who think that practicing martial arts together with the practice of violence. Because there are taught how to punch, kick, strike, dodge and parry, which is a general movement in a brawl. Moreover, coupled with the action movies or stories that always relate martial arts action violence. Actually, not one person also think like that, especially who have never come to try to learn a martial art. But the assumption is not appropriate, because the benefits of practicing martial arts was a lot. Even to a certain extent a college began teaching martial arts philosophy contained in each moment are studied and application of the philosophy in everyday life. In general, the benefits as a means to self defence of violence is precisely began to decrease, paralleled the modern culture began to abandon the culture of violence, crime rates are declining and awareness of the law. Although it can not be denied there are some areas that are still attached to the culture of violence or crime rate is still high. Instead of hurting someone by hitting or kicking, hurting someone with verbal language alone can deal with the law. So that the benefits to the sport, this is precisely the achievement and development of stands. There are so many styles and martial arts moves, but generally greatly influenced corresponding respective areas. -More Healthy and Fit . As with the other benefits of exercise. Practicing martial arts on a regular basis just as beneficial to exercise regularly, which will improve fitness, muscle because there would be trained to move and make the body become more healthy as well as increase endurance and not easily hurt. Certain movements, especially those that use elements of speed, helped stimulate cardiac function and lung. So that the blood circulation and breath we will go more smoothly. The main objective is survived to self defence. Sometimes a conflict or crime can be avoided when the opponent or discourage criminals to deal with our emotions because they declined or become reluctant, if we face it with calm and confident. But if the conflict can not be avoided, at least we are ready to deal with it. -Making More Powerful and flexible muscles. Movement of hitting, kicking, ducking, jumping and other frequently applied in martial arts. Other movements such as the movement running, sit ups, push ups, squats all goes well it could train our muscles to become more powerful, nimble, agile, fast. When we feel will have the ability to be able to boost your confidence. Besides, it was in college martial arts generally are trained and conditioned to our confidence and our courage up. Every martial arts will certainly have the technique / tactics and rules, which must be applied with discipline. Because of the absence of discipline in applying the tactics and rules, it is possible that the results of practicing martial arts will not be maximized. Levels in the martial arts also compels one to try with discipline, to meet some of the requirements to achieve it. On examination there was some increase in the level of the material being tested could qualify for up a level, for example, mastery of technique, application of tactics, speed and endurance. And this can only be achieved by self-discipline. Although good mastery of technique, but the application does not meet the requirements or speed can certainly derail the exam results. Similarly, some of the benefits of practicing martial arts. Actually there are many other benefits of practicing martial arts, but sometimes rather difficult to explain. It might be more clearly feel the benefits if you try to practice martial arts.